The Pointoselect Digital combines positive and negative point detection, advanced treatment protocols, and popular preset frequencies in one powerful device. It’s everything you need for effective, convenient body and ear point treatment! 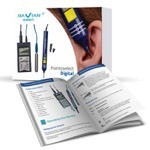 The Pointoselect Digital has all the flexibility you need for advanced auricular work. 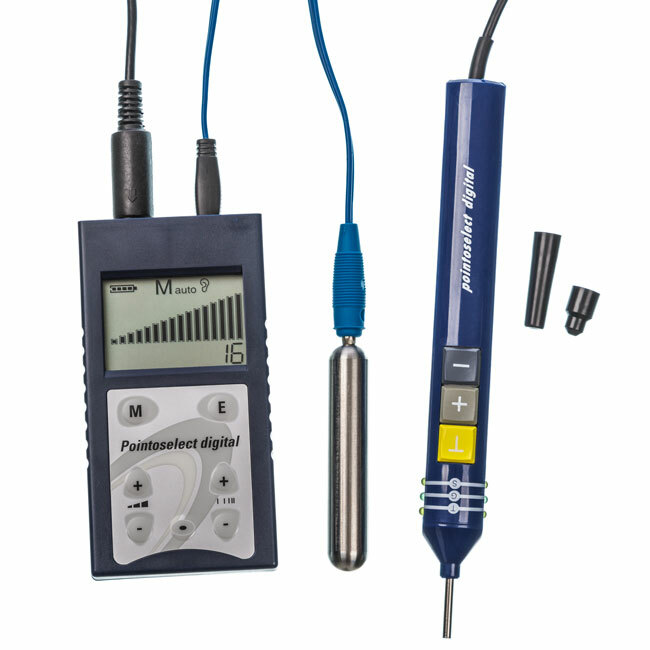 Bipolar point detection with adjustable sensitivity ensures you’ll find precisely the right point, whether it has positive or negative polarity. Treatment is just as flexible, giving you ultimate control over intensity, frequency, even pulse-width. The Pointoselect Digital provides precision point locating and flexible treatment protocols to get results. Buy Your Pointoselect Digital Today! Do you Struggle with Auriculotherapy Treatments? Do your treatments make a difference? Are you able to deliver the correct treatment at the correct time to the correct point? Do you understand the importance of polarity and frequency? Are you frustrated that the best auriculotherapy tools aren’t available? Is auriculotherapy more of a mystery than a solution? Are you sick of auriculotherapy training that doesn’t help you? 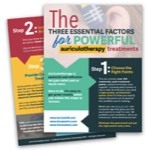 To give the best Auriculotherapy treatment, there are 3 essential factors: the right reference, the right tool, and the right frequency/polarity. 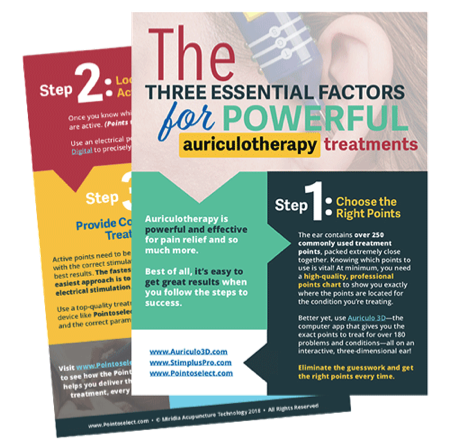 We’ve helped more than 10,000 auriculotherapy practitioners get better results with our tools. 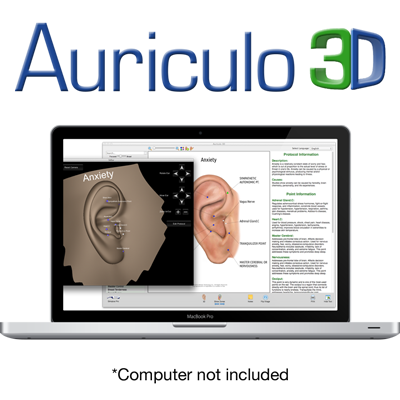 As the developers of the world-class auriculotherapy reference software, Auriculo 3D, we decided it was time to get the best treatment tool for auriculotherapy so you can deliver the most effective treatment, every time. 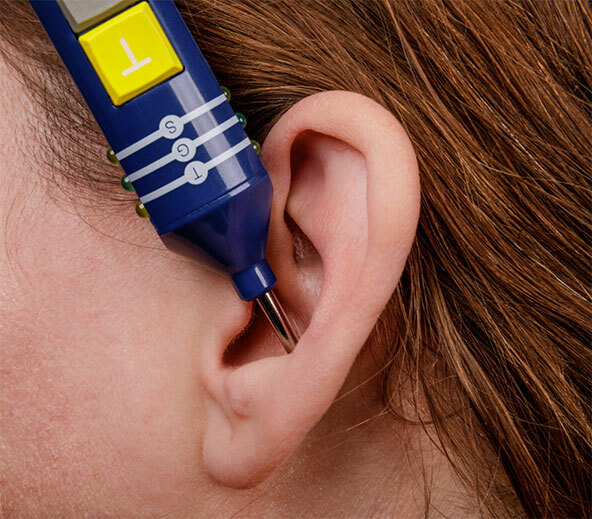 The most accurate and effective auriculotherapy treatment tool is the Pointoselect Digital. 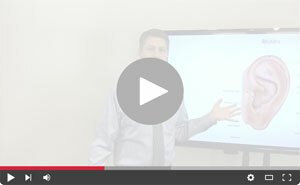 …the Pointoselect Digital is the tool you need. Revolutionize your treatments with the most effective, affordable, FDA-cleared auriculotherapy device on the market. Learn how to be successful with your Pointoselect with our 10-module online training course with Dr. Adrian Larsen. 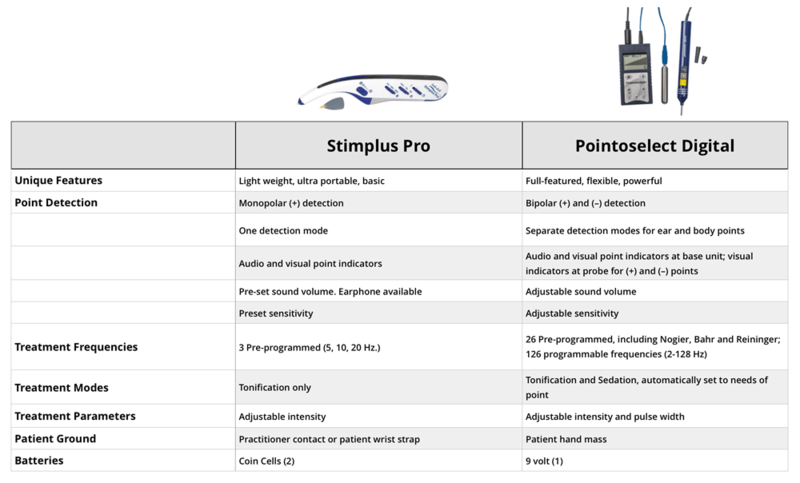 Learn about the differences between the Pointoselect Digital and the Stimplus Pro, and when we recommend using each device. Breakthrough Probe Design: This probe does it all—with nested detection tips, visual point indicators, and treatment control at your fingertips, you can locate and treat without ever putting it down. Best of all, we’ve put it all in a design that’s light enough for precision work. Advanced Electronics: Digital circuitry provides precision treatment control for superior results. Expert Training: Every Pointoselect Digital comes with access to our advanced video training course where we’ll show you everything you need to know. Outstanding Value: Superior to other devices that cost many times the price. Order Your Pointoselect Digital Today! What About That White Pointoselect I've Heard About? You can keep messing with the wrong tools and questioning your results, or you can get the right tool for the job and get confident care, superior results, and happy patients. With the Pointoselect Digital, you can rest assured you are giving your patients the auriculotherapy treatment their bodies need to achieve balance. Why buy your Pointoselect Digital from Miridia Technology? We are the ONLY authorized and LEGAL importer of the Pointoselect Digital in the United States. When you buy from us, you know you’re getting legal, FDA-cleared goods that meet strict quality standards. 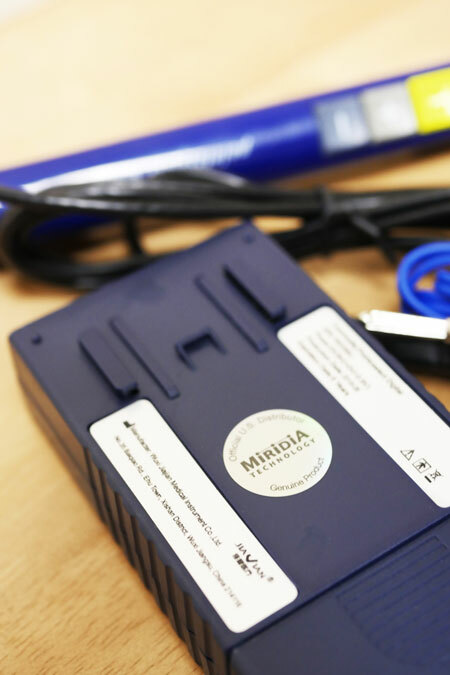 Your certified Pointoselect Digital from Miridia Technology will have our exclusive seal of approval, indicating that we’ve tested its quality and accuracy, and we stand behind it for service, support and warranty. We provide extensive training and resources to our customers for effective use of the Pointoselect Digital. We also provide excellent customer service, and even access to practitioners to answer your questions. We offer technical support, a 1 year warranty, and a 60 day money-back guarantee. If you ever experience problems with your Pointoselect Digital, we have technicians standing by with the help you need. When you purchase from us, you get our exclusive Nogier Frequency Zone Ear Card, which will help you easily treat the ear with the correct frequency. Remember, your device is only as good as the company standing behind it. Insist on the genuine article, from Miridia Technology. We’ll be there for you! Whether you need training, technical support, or customer service, we’ll pick up the phone when you call. No robots here. We will protect you with a 60-day, money back guarantee. This is a no-risk decision! Once we’ve explained the imbalances on the computer, we use the microcurrent device to treat and diagnose the points. As we put the device on the point, we can tell if it’s excess or deficient—if there’s too much energy, or not enough. The device can change the voltage and amperage to treat that point and balance things out. You don’t feel anything. There’s no pain involved. As we go through and treat all of the points necessary, the body gets back into balance, and [our patients] can start to feel better. It’s a fantastic device for treating those imbalances in those that don’t want to try acupuncture, or have some fear and anxiety associated with it. We’ve used it for young children all the way up to adults. What’s fantastic with the theory of acupuncture is it doesn’t matter if it’s a needle, or the microcurrent device, if we treat it, the body gets better.